Google’s RankBrain is an algorithm that uses machine learning and artificial intelligence to rank results based on feedback from searcher intent and user experience. Diving deep to learn what makes RankBrain tick, here are 15 actionable tips to improve your SEO rankings. Keywords have long been the foundation to high-ranking SEO content. 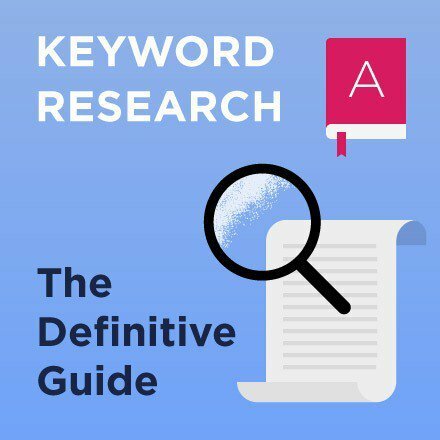 Most of your content, whether it be blogs or website copy, begin with hours of definitive keyword research you could rank for, and outrank your competitors for. However, RankBrain has in some ways changed those run-of-the-mill SEO keyword research strategies you may have used in the past. It is all about searcher intent when it comes to the future of ranking, so it’s time to adjust your keyword research strategy. Long-tail keywords were once effective, before Google used semantic analysis and understood the meaning of words. You were able to compile a list of long-tail keywords from Google’s “related searches” at the bottom of a SERP and create a page for each keyword. Unfortunately, synonymous long-tail keywords are not as effective in the RankBrain SEO world. RankBrain’s algorithm is actually quite intelligent when it comes to differentiating very similar long-tail keywords. Instead of ranking for multiple keywords, it will deliver pretty much the same results to a user. For example, the long-tail keywords, “best automation tools for marketing” and “best marketing automation tools” will return the same results to satisfy searcher intent. So what do you do instead of leveraging those long-tail keywords? Read on to find out how to do RankBrain-minded keyword research. Since long-tail keywords are on their way out, you should begin optimizing for root keywords instead. Root keywords are the middle of the pack search terms with higher search volume than long-tail. They are more competitive and may require more links and quality content to rank. You’ll notice that there are a number of medium sized keywords to choose from. Interestingly, the primary keyword “lemon tea” only nets about 3,600 monthly searches. However, medium sized keywords like, “benefits of lemon” and “honey lemon” drive around 8,000 to 9,000 monthly searches. Using medium sized keywords in the RankBrain SEO world will also automatically rank your content for a number of other related keywords. If you want to optimize your content for highest SERP position possible, use medium-tail keywords. Now before you toss out the idea of long-tail keywords altogether, it is important to understand that they still have some benefits. For instance, they help you identify the LSI keywords RankBrain loves to rank content for. This doesn’t mean you should keep using those synonymous long-tail keywords, but you should leverage the LSI potential of them. These would be any words or phrases very strongly associated with your topic. Using the previous “lemon tea” example, you can easily identify a number of excellent LSI keywords for that primary keyword. How? Good question! One way is to use Google’s “related searches” and note any words in bold blue. You can also use Google’s drop down to help you identify commonly searched for LSI keywords. Simply type in your primary keyword and LSI Graph will return a number of LSI Keyword rich phrases for you to choose. These LSI keywords will give you more keywords, and pages, to rank for, as long as they are not synonymous like in the case of those traditional long-tail keywords. Organic click-through-rate (CTR) is a major signaling factor. In fact, the very nature of RankBrain is all about how users interact with the content provided in the SERPs. Want to improve your SEO rankings? First improve your CTR! What can you do to ensure your content is netting the CTR it deserves in order to get ranked accordingly? Well, there are actually a number of CTR hacks to improve your SEO rankings. Putting a little emotion into your title tags can have a big impact on your CTR. Most searchers will land on page one of Google and start scrolling through titles until one hits home emotionally. In fact, a study by CoSchedule found that an emotional score of 40 gets around 1,000 more shares. Emotional score, what is that? CoSchedule actually has a Headline Analyzer to ensure your blog titles, email subject lines, and social posts are appealing to your audience’s emotions. Drawing from our “lemon tea” example, let’s say you type, “7 Lemon Tea Benefits” into the Headline Analyzer. Not a great title, and these were the results from the analyzer tool. A score of 34 will get me near 1,000 shares, but it could definitely be better. The title definitely needs a bit more emotion and it needs to be longer. Let’s try it again. This time with the title tag, “7 Lemon Tea Weight Loss Benefits for Summer,” which did much better. It can be challenging to pick a title that brings about emotion. The best way to nail down the perfect title tag is to think like your audience, research other high-ranking titles like yours, and use online tools. This is definitely an easy one to implement to quickly improve your CTR and SEO rankings. By using brackets in your post titles, you are drawing more attention to your title among the masses in SERPs. In fact, research by HubSpot and Outbrain found that titles with brackets performed 33 percent better than titles without. This was a study that compiled 3.3 million titles, so quite a large sample. A few bracket examples you can use include, (Step-By-Step Case Study), (With Infographic), (Proven Tips from the Pros), or (How I Got X from Z). In the same mindset of developing more emotional title tags to increase CTR, power words are, well, powerful. They have the ability to draw searchers in and will make your headline irresistible. For example, these titles in page one Google take up the top three positions. Increase your CTR and improve your SEO rankings by adding power words into your post titles. But don’t forget about those numbers either. Lists are great, but don’t shy away from adding numbers and statistics to your titles. Numbers in titles highlighting percentages from research or a certain number of days can have a big impact on your content’s CTR. With your title tag optimization efforts well under way, it’s time to focus on those very important description tags. Title tags are not the only aspect of a higher CTR to improve your SEO rankings. Someone may have stopped scrolling at your title, but may read your description tag just to be sure your content is click-worthy. This makes optimizing your description tags a priority. Just like your title tag, you want to keep the emotional juices flowing if a searcher reads your description tag. This can be done in a similar fashion as your title tag, using those powerful emotion words that satisfy searcher intent in a meaningful way. Not exactly stirring up the emotions you would want if searching for information on how to increase your website’s conversion rates. This description tag points out a problem that many business owners have, traffic but not so many conversions. This longer form approach puts conversions into emotional perspective. It is personal and has a very clear emotional call to action. Why would anyone want to click on your content based solely on the description tag? This is the mindset that will take your CTR to the next level. Don’t be afraid to highlight the benefits or the supporting data you are serving up. This is a great example of highlighting where the content data is coming from, as well as the benefits. Creating content after an industry conference is the perfect way to highlight key takeaways for your audience. It is also makes developing those emotional description tags easy. One description tag hack many people fail to leverage is using keywords and phrases placed in multiple relevant AdWords description tags. If you want to optimize your description tags for improved SEO rankings, this CTR hack is a must. This would be a pretty good indicator that you should place ROI somewhere in your description tag. After all, companies are paying thousands of dollars to have these ads up and running daily, so capitalize on their marketing investment. This should be a no-brainer, but still happens. Placing your primary keyword in your description tag solidifies that your content is indeed going to fulfill searcher intent. Be sure to place your primary keyword as close to the beginning of your description as possible. You can also sprinkle in a few of your LSI and power keywords as well, if it reads naturally. The RankBrain algorithm looks at your content CTR and will rank it accordingly. However, if your content isn’t quality after a user clicks on it, they will “bounce out” quickly and keep searching. This ultimately weeds out any clickbait and emphasizes the need to have a very low bounce rate and long searcher dwell time on page. The more you optimize for these two very important factors, the more your SEO rankings will improve. But what is dwell time? Well, this is how long a searcher will spend on one particular page. Like anything sales minded, you want them to stick around for a while. In fact, the average dwell time of a top 10 Google result is three minutes and ten seconds, according to a Searchmetrics study. How do you get searchers to stick around for three minutes or more? Develop quality, authoritative content that satisfies searcher intent. When someone is searching for an answer to their question on Google, they want their answer immediately. This makes having your content (introduction paragraph) above the fold crucial to keeping bounce rate low. You’ll notice that there is no content to be found but the title tag. In fact, the brand logo takes up much of the above the fold area. This could be problematic. Instead, get your content front and center once a searcher lands on your post or page. This will showcase your introduction right from the get go, making the searcher read on. But how do you hook them? Well, highly engaging introductions. By making your content above the fold, your introduction will be the first thing readers will see. This makes hooking them with a concise and engaging introduction essential. This will keep them reading and reduce bounce rate while increasing dwell time. There are three main elements to a powerful introduction: Hook, Transition, and Thesis. Spend some time on your introductions. These are in many ways the most important element of any content and will improve your SEO rankings in the RankBrain world. One way to improve your SEO rankings is to develop longer, more in-depth content. Long-form content also increases your backlink portfolio, according to HubSpot research. More links and higher position on SERPs will definitely have an impact on your SEO rankings. If a reader makes it through your entire post, dwell time will definitely be in upwards of three minutes. More in-depth content also showcases your expertise on the topic you’re writing about. This makes you and your brand more authoritative in your industry. You know that long, in-depth content improves dwell time, ranks better, and nets more backlinks. But how do you make 2,000-plus words easy to digest for your readers? Subheadings are very clear and there’s an actionable image that guides readers on just “how-to” achieve the answers to their questions. Another important tip for breaking up your long-form content is to keep paragraphs very short and concise. Paragraphs can be two to three sentences long, or simply one long sentence. The main aim is to ensure readers can avoid eyestrain and take in all the authoritative information you outlined in your content. This will keep readers on page and increase your dwell time, thus improving your SEO rankings. If you are ready to adapt your SEO strategies to new developments in AI and the evolution of Google’s algorithms, follow the tips above to start seeing improved rankings. As algorithms evolve, so should your strategy. Have you tried optimizing for RankBrain? What are your favorite tips?